Late this evening the doorbell rang when we were in the garden. On the doorstep we found Billy – he’s a poppet, but I’m pretty sure he can’t ring doorbells himself. A HUGE thank you to everyone on Twitter & Facebook who RTd, sent messages of support and offered help. We are all enormously grateful. And big thanks to Jayne at dogslost.co.uk who was immensely helpful and all round brilliant. Billy is all curled up in bed now, sleeping the sleep of the just. 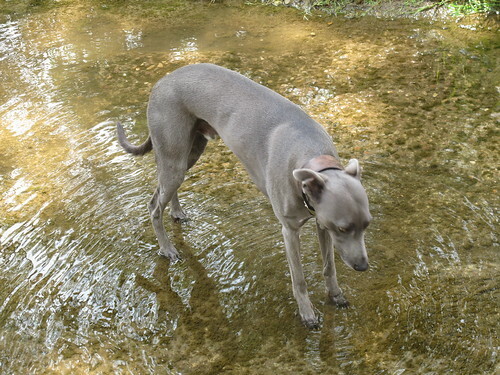 Please help us find our blue whippet Billy who has disappeared from our family home near Banbury this afternoon. Maybe he’s been taken. Or maybe he’s jumped into a garden somewhere and got stuck…or done a Born Free…. 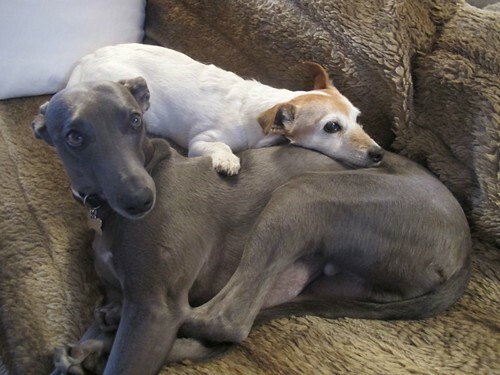 My mother’s whippet Violet had just two puppies, and she kept one, our darling Billy. He is now four years old and a complete homebody. He has never, ever strayed or even wandered off. He is the kindest, sweetest dog and loves everyone. I have been in & out of the garden all afternoon with all three of our dogs milling around, yet about an hour ago I looked for Billy & he was nowhere to be seen. My mother returned from lunch and he didn’t appear – he loves my mother with a fierce doggy love. If he had been anywhere near he would have re-appeared when she arrived home in our car. He is four years old. He is pretty much grey all over with a white lightening streak on his chest and a white willie. 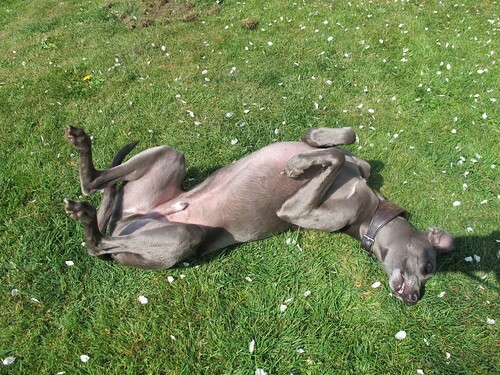 He was snipped, so he is, er, ball-less/neutered – this is unusual as most male whippets are used to breed. 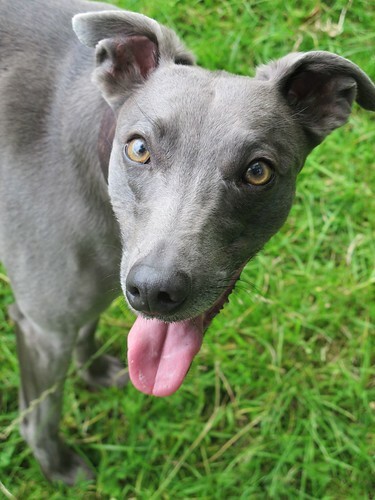 He wears a wide brown leather whippet collar with a tag which says WILKINS & our home phone number. He is microchipped. We live 10 miles north of Banbury, and ten miles SE of Daventry. Nearby towns include Towcester, Milton Keynes, Buckingham, Leamington Spa, Warwick, Stratford upon Avon. We are just over an hour from Birmingham & Leicester and an 1.5hrs from London. How worrying – I really hope Billy turns up quickly, my heart goes out to you and your Mother. 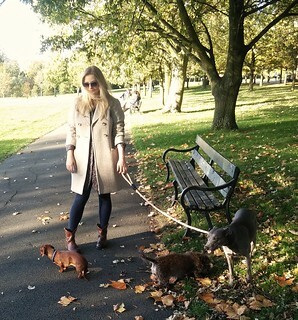 Just a thought though, reading back through your blog from 3 days ago there are pics of all the dogs on your post about walking them all; it does seem a little suspicious that he has vanished soon afterwards. Dear LLG, I was fortunate to meet Billy last weekend when we were B&B guests at your Mothers, so I know how lovely he is. I know exactly what you are going through, Crusoe went missing for 24 hours once and it was the worst 24 hours of my life, Crusoe came back and I am keeping everything crossed that Billy will too, I am praying that your next post will be news of Billy’s safe return. I do hope you find Billy soon. It’s such a horrible thing to happen. I sincerely hope you find him and that he’s well (having just gone off on his own little adventure, unaware of the drama he is causing not only in your village but all over the internet…). 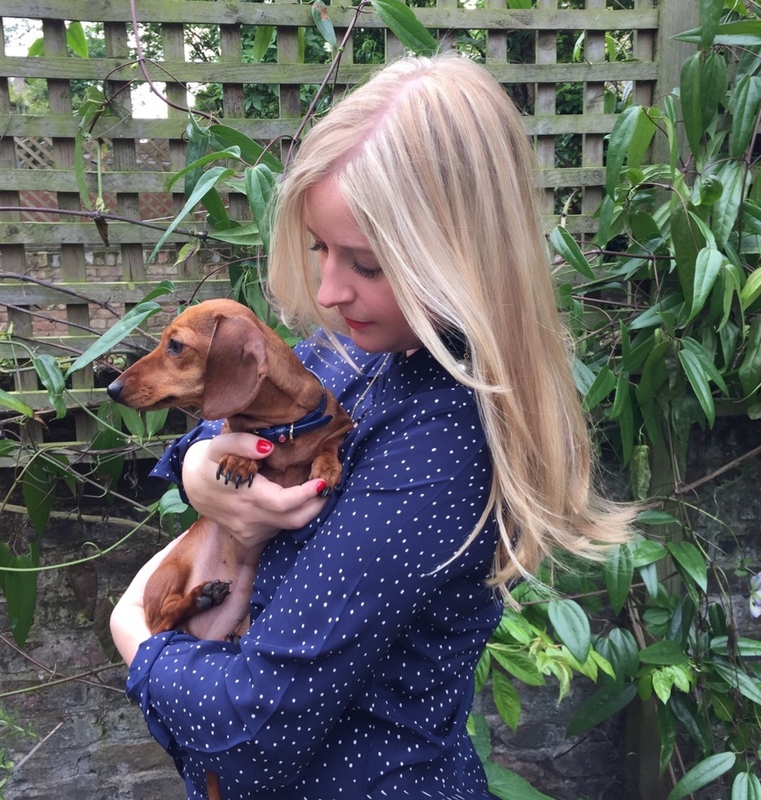 Billy’s such a beautiful dog (along with all the other ones you’ve shown us on the blog). I do hope he’ll come home to you and your mother soon! Oh no, this is horrible! I can’t image anyone being so cruel as to steal him, particularly not in the area where you are living. Fingers crossed that you’ll find him soon and that he just got stuck in the basement or fell asleep licking the sun in a field! Just seen your tweets, what a huge relief all round! Oh No! I’ll pray for his swift and unharmed return! Yay just read twitter / Billy’s back!